In our last mailing we asked you to do a number of things, re: write letters and make telephone calls. One (1) call we asked you to make was to Governor Cuomo, telling him to renew and strengthen the State Tenant Protection Laws (in the Budget). We asked you to call him in his Albany office – (518) 474-8390. If you haven’t called yet, or if you want to call again, we’re asking that you call Governor Cuomo in his New York City Office – (212) 681-4580. The state legislature is the main focus right now. MVUT has three (3) specific positions that we’d like you, our members and friends to communicate to your state legislator. Most of the legislators who represent Westchester are already on board as co-sponsors. The only ones who have not signed on as of this mailing date are: Jeff Klein and Suzi Oppenheimer in the Senate and Sandy Galef and Amy Paulin in the Assembly. Please call and write your own legislators (Assembly Members and Senators) and thank them if they’ve already signed on as a sponsor, or ask them to sign on if they have not done so as of yet. If you’re not sure who your legislator is or if you’ve misplaced the list of Westchester Legislators we previously sent you, call the MVUT office at (914) 699-1114, ext. 303. 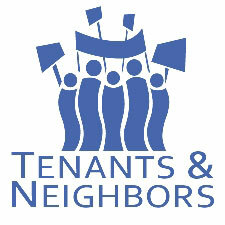 Also call Governor Cuomo at (518) 474-8390 and tell him to renew and strengthen the tenant protection laws in the Budget. (A) Reject the Governor’s Article VII language which would eliminate the “Neighborhood” focus of the program and put smaller groups (like MVUT) out of business. (B) Restore full funding to the NPP. The Governor is proposing cuts of 50%. 3) New York State and forty-five (45) other states are all crying “Deficit”. However, for thirty (30) years New York State has been relentlessly cutting the income tax on high-wage earners. The income tax is a “”progressive tax” i.e. it is based upon ability to pay. It is a fairer tax. When income taxes are cut it leads to “tax shifting”, to more “regressive taxes”, e.g. property and sales taxes. For the last three (3) years there has been a slight temporary tax surcharge on the state’s highest earners. It has been dubbed the “millionaire’s tax”, even though the slight incremental increases begin on the portion of salaries over $200,000. This tax brings in close to $ 5 billion annually!! It is set to sunset on December 31, 2011. Governor Cuomo has said he does not want to renew it! Half of the supposed “deficit” could be taken care of with the continuation of the “millionaire’s tax”. We would not have to cut school funding, housing support and other essential services. Call and write your legislators on this as well and tell them to raise revenues by continuing the “millionaire’s tax” and lets have some “shared sacrifice” by the wealthiest New Yorkers. Why are we proposing cutting services to those who desperately need them and giving “additional” (remember, these same individuals just got an extension on the Federal Bush tax breaks) tax breaks to those who don’t need them? Also call Senate Majority Leader Dean Skelos at (518) 455-3171 (see reverse side). 1) A rally for Public Education on Wednesday March 16 at the Yonkers Public Library. 2) A free Financial Education Workshop at our office on Thursday March 17. Get Involved! Write the letters and make those calls!! Stand up for MVUT and all New Yorkers!! !